Did the server crash? Its being Optimized! Chapter 82: I’m the boss here! Hearing Hong Xiaobao words almost made the man faint in fear. The might of this so called firecracker, he had already experienced it personally. If it was truly forced into his mouth to explode, his entire head might just be blown to smithereens. Thinking til there, his whole body went cold as sweat ran down from his forehead and his spirit almost collapsed. He was so frightened his legs started to trembled; he almost urinated himself had he not tried so hard to suppress it. Qingqing also gaped her mouth, this method was quite good! “Yes, Your Highness!” Guan Juxiong laughed while tracing his hair. He disappeared like a gust of wind and brought back some firecrackers. With determination, the man went all out to hold back from urinating and shook his head, wanting to speak. The captive did not dare close his eyes, he went all out in shaking his head. “Oh? How anxious,” Hong Xiaobao hesitated for some time, but said afterwards, “This, you said earlier that your were nameless, hmmm I will just have this firecracker explode since you’re already nameless.” He pushed the firecracker into the man’s mouth, but he kept on shaking his head. Cold sweat flowed like a waterfall, covering him from head to toe. Qingqing shook her head. “I have a little impression of who they are,” Guan Juxiong pulled his hair slowly, appearing to think more about the matter, then he said, “This Flowing Cloud Sect is a really small school, having more or less a hundred thousand people and is probably not quite far from here. Hong Xiaobao understood everything after he heard their reason. Why did Yuan Taining come? He was short on money, went hungry and decided to steal the technology for some money to spend. In this world each school, regardless of size, needs resources. Where would these resources come? Going out to find resources, even if an Elder of the school where to look personally, when would they find the resources they were looking for? You must buy the resources. Building good equipment requires riches, exchanging for resources required money! After all, in every school and domain, it goes without saying that they needed food for nutrition, elixir for practice, and weapon to equip. All of this needed money to be completed! School can occupy territories, but they still needed to trade with humans to supply their needs. And trading required money! Not having money can be also good? Then what do you eat and drink when you’re hungry or thirsty? Therefore, if the school did not have any good source of income, what great talent could possibly emerge from there? Let alone growing their strength, even maintaining the loyalty of the disciple will be a problem. “One hundred thirty-five thousand people!” Seeing Hong Xiaobao solve their sect’s problem, Yuan Taining was shocked. To be honest, even the Sect Head may not be able to pull the strings to get Hong Xiaobao to help them. He, who was unexpectedly exploded on, actually managed to get the Ninth Prince to provide assistance to them. “Your Highness, this matter is something I am unable to take responsibility in agreeing. If Your Highness trust this lowly one, I am willing to go back and discuss this with our Sect Head right away.” Yuan Taining was moved, the method with which Hong Xiaobao made money was legendary. If they can get a hand in such profits, that would be for the best. 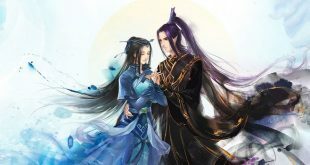 However the Sect Head does not know of such good opportunity, will Hong Xiaobao really agreed to let him go?